Queenstown, New Zealand – Queenstown skiers and riders will get an extra week on the slopes of The Remarkables. Originally scheduled to close this Sunday, September 25, ski area officials today announced that they’ll now remain open through October 2 thanks to a 1.2-meter snow base at the summit and 80cm at the base. “Traditionally we close The Remarkables a week ahead of Coronet Peak, but in view of current snow cover and forecast weather conditions we’ve made the decision to keep The Remarkables open for another week as the snow cover is exceptional up there,” said NZSki CEO Paul Anderson. The Remarkables still has all lifts turning and 16 out of 20 marked groomed runs open. 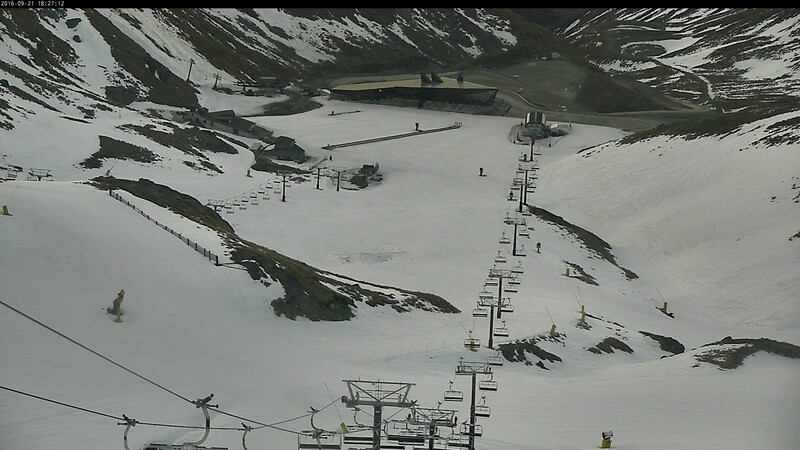 Coronet Peak is also scheduled to operate through to Sunday October 2, conditions permitting. That’s great news for locals and families visiting Queenstown who will have the choice of skiing both mountains for the first week of the New Zealand school holidays. “As always we strive to deliver the best experience for our guests and it’s great to be able to give locals and visitors to Queenstown the choice between Coronet Peak and The Remarkables all the way through until Sunday, October 2,” Anderson said.